2 ac window units . 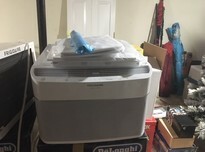 1 8,000 btu ac window unit used 3 months $250. ,1 6,000 btu ac window unit $200. Great for Shop or Garage. Natural or LP Gas. Asking $500. Call 434-799-8780. Asking $25 for Truck Load. Call 252-814-8451.
in Good Condition. Asking $250. Call 434-228-1259. 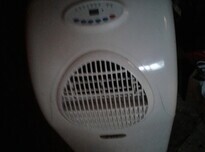 120 Volt, Asking $200 OBO; Also a 7500 BTU AC, Asking $100 OBO. Call 434-421-2688. Energy Efficient, with Remote. Quiet and Works Well. Asking $200. Call 434-251-3888.
with Built-In Humidifier, Works Great. Asking $175. Call 434-713-7915.
from Amazon. Still in Box, 12000 BTU. Paid $489, Asking for $325. Call 434-688-9399. 3 Boxes Total. Call for Price, 434-489-2604. Asking $25 Each. Call James at 434-251-6394. Asking $500 Firm. Call 434-221-6471 or 434-509-9547.